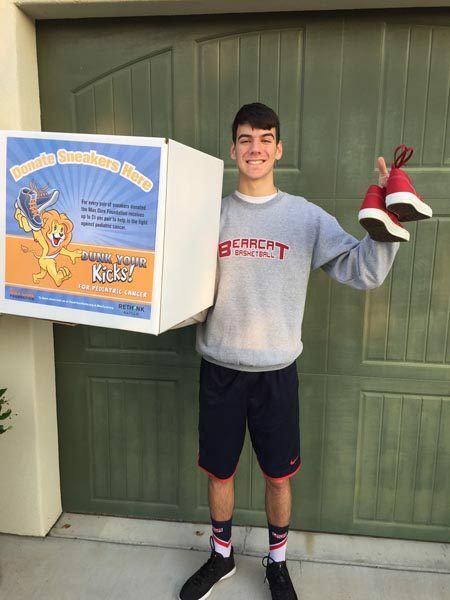 Dante Coletta holding one of the collection boxes for Dunk Your Kicks fundraiser. 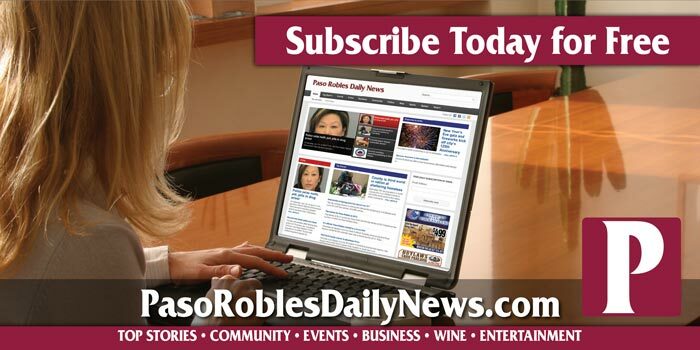 –Dante Coletta, a junior at Paso Robles High School, held a Dunk Your Kicks fundraiser to raise money for pediatric cancer research on Saturday, Oct. 29. Dunk Your Kicks is a national fundraising initiative benefiting The Max Cure Foundation, a pediatric cancer charity. Coletta collected close to 100 pairs of gently used shoes. In addition to raising money to support children battling cancer, the shoe collection also helps keep unnecessary waste out of landfills and offers footwear to those in developing nations.